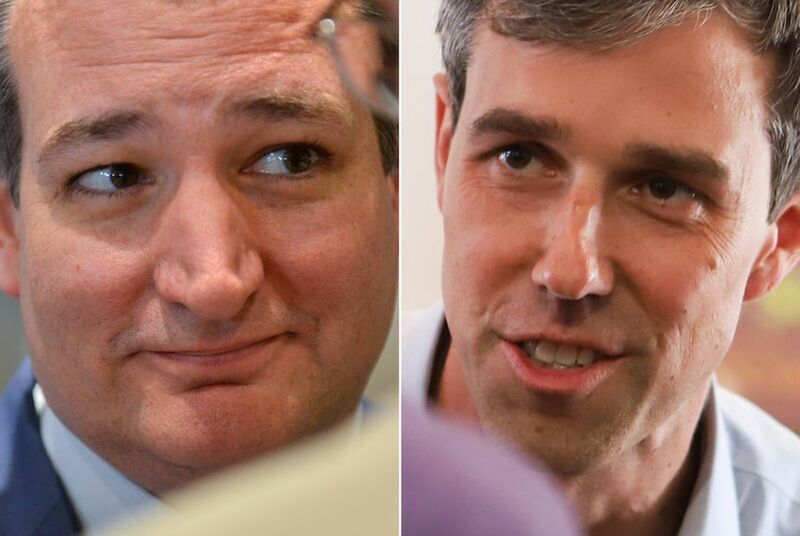 U.S. Sen. Ted Cruz, R-Texas, and his Democratic opponent, Beto O'Rourke, have now raised more than $100 million combined. Thursday was the deadline for the candidates to report their fundraising numbers for the first 17 days of October, and their figures pushed the total fundraising for the race into nine-figure territory. The Democratic nominee, Beto O'Rourke, raked in $8.5 million — another impressive haul — while Republican incumbent Ted Cruz brought in $5.2 million. At the end of the previous fundraising period — Sept. 30 — O'Rourke and Cruz had raised a total of $89.9 million, with O'Rourke responsible for roughly two-thirds of that, according to a Texas Tribune analysis. Their latest hauls bring that tally to $103.6 million. With the latest period, O'Rourke, an El Paso congressman, continued to easily outpace Cruz in the money race. O'Rourke has now outraised Cruz for seven out of eight reporting periods since entering the race in March 2017. O'Rourke spent big during the 17-day period, unloading $21 million — or over $1 million a day — with a majority going to TV, cable, radio and digital advertising. Cruz, by comparison, parted ways with $9.7 million at the same time. The latest spending by the campaigns brought the price tag of the race since the start of 2017 to $87.8 million. O'Rourke ended the period with a healthy cash-on-hand advantage over Cruz, $10.3 million to $6.7 million. The total money raised and spent by the campaigns does not account for the additional millions of dollars that have flowed through the contest via outside groups. So far, the bulk of the outside money has come through super PACs on the Republican side, though Democrats have started to narrow the gap. A new anti-Cruz super PAC, Texas Forever, announced Thursday that it was launching a $1.2 million ad buy in Dallas.